Not too surprising, but I got a few negative comments about my last post Awareness vs. Acceptance but I could understand her point. The comments were from an adult autistic who doesn't see herself as "broken" and frankly, neither do I. 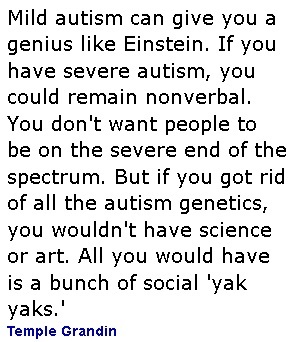 As Temple Grandin says you do NOT want to get rid of all the autism genetics. But unfortunately Alan is in the severe category or at least further in that direction than moderate. I am terrified that we will have to institutionalize him at some point in the not too distant future. His brother is 6'1" and over 225 lbs. and I am not positive he has stopped growing. Considering that Alan was a bigger baby, odds are he will easily be big enough to cause some serious damage around the house and hopefully, it will be the house that suffers and not DH or I. For this reason, I will continue to hope and pray and search for a "cure". And maybe cure is not the right word. 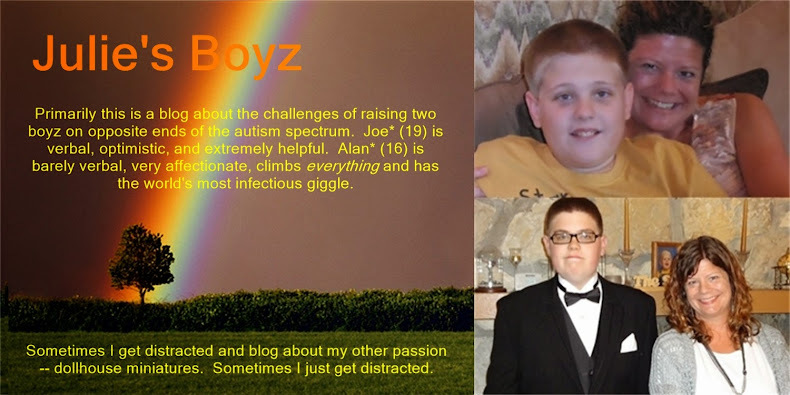 The boys do not have a disease, but something is definitely wired incorrectly in their brains -- something that I would dearly love to "fix". This is tempered by the fact that I love quirky people! They are so much more interesting than social 'yak yaks'. 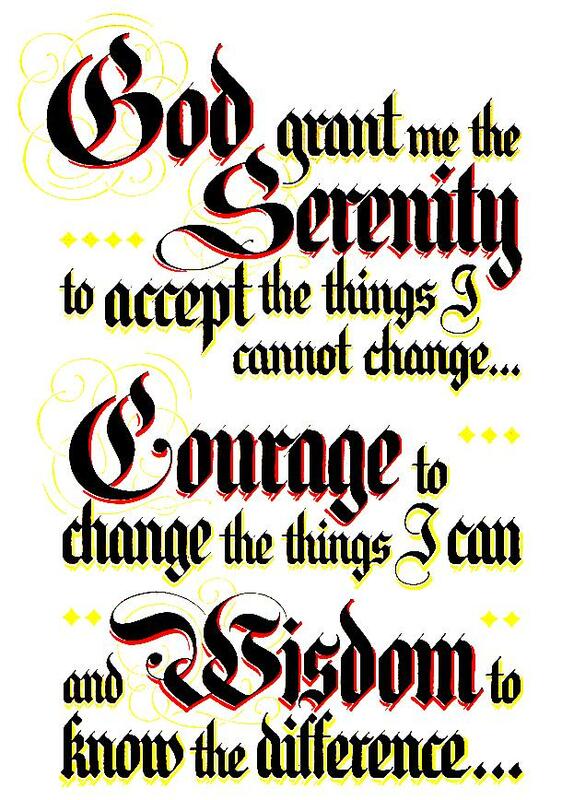 Maybe the answer is The Serenity Prayer. 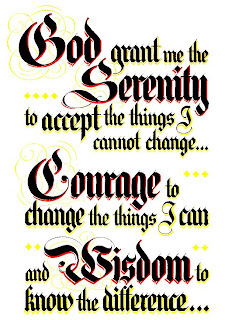 Some things will never change and I need to accept that and yet if I can find a way to change Alan's most difficult issues, I need to have the courage to change that but I must also have the wisdom to know when not to mess with things and that is probably where Joe lies. So I still say that I want Awareness and Acceptance. Is that so freaking much to ask for? Well, yes it really is. Baby steps, Julie, baby steps! Loving your child and wanting better, healthier and less struggle is never a bad thing or to be considered a pity scenario. Wanting to remove a malady from your child is just good parenting, regardless of the diagnosis. People need to just realize that that does not change the amount of love, respect and acceptance we have already for our child. Do people still attempt and struggle to walk straight after a major injury is done to their spine? Does anyone say stop trying to get better "you should just accept it"
Why not try to recover the full faculty of the mind? Or at least help it function to its own best ability. When I have exhausted all my love, teachings, support and education..then.. I will accept it.